Well this week we have the first of a small series featuring Christmas Glass painting. In the coming weeks we will have several more Christmas projects using both solvent and thick waterbased glass paints. It’s actually a little while since we had a newsletter so we have 3 great articles for you. 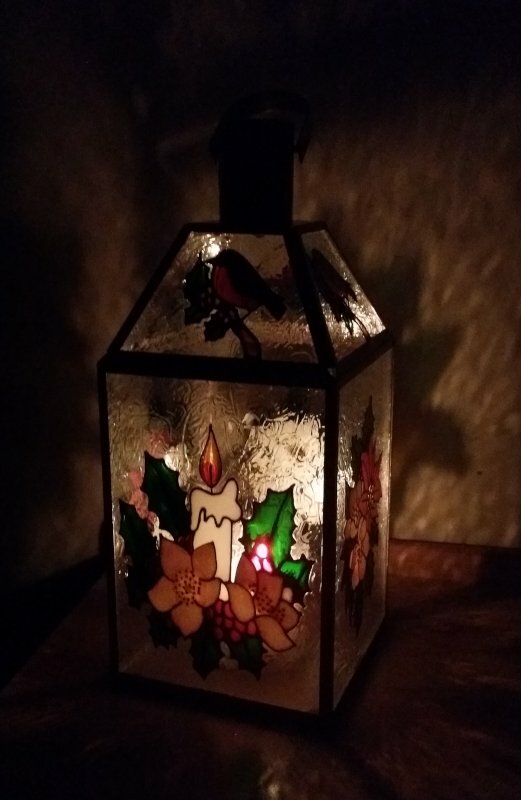 There’s a Christmas Lantern. 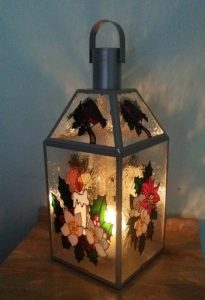 A lovely Prairie style light catcher demonstrating how to use adhesive lead and a final article showing how to add shading to your glass painting. 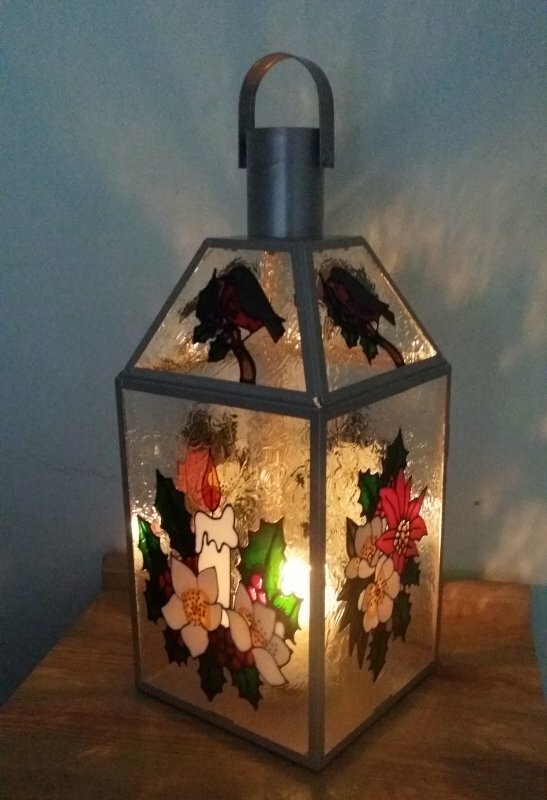 Christmas Glass Painting Lantern Project. This is a very straight forward glass painting project so suitable for both beginners and more experienced painters. obviously the complexity of the design can make a difference as can the size of the lantern. A large lantern, whilst using using more outliner and paint, will actually be easier to work on. Once again we have made our designs available for download but you can also use your own. It doesn’t have to be a Christmas design but if it is you may want to get a second set of glass cut and do a more general design as well. Then after Christmas you can swap the panels over. 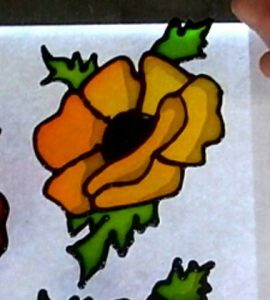 Using Shading in Glass Painting. In this article/video we look at two different ways of adding shading to your work. This technique won’t suit every style of glass painting but when you do use it it can really add another depth to your work. It is best used on organic items, animals, flowers and plants etc. 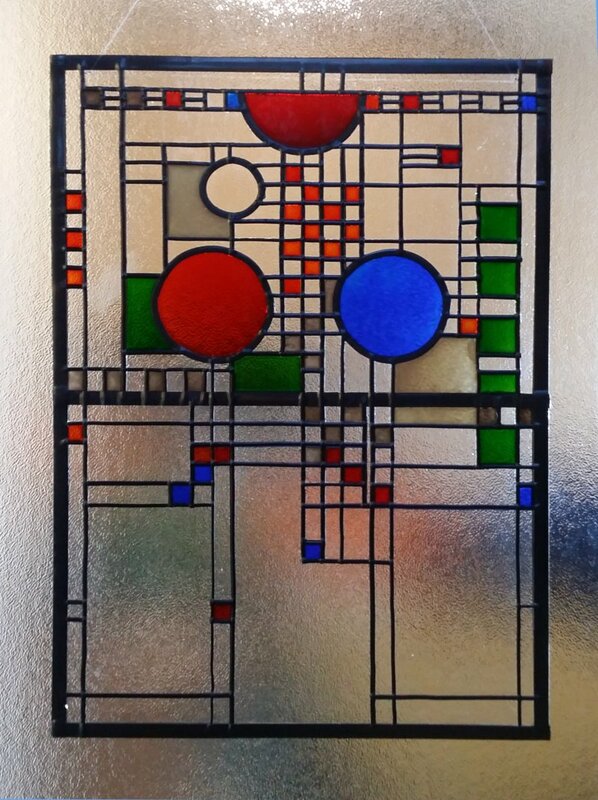 It doesn’t really suit items which try and replicate traditional stained glass. These are really simple techniques and should be something anyone can do. This actually isn’t a project as such, it’s a demonstration of how to use adhesive lead. How every in order to show you this we do make a really nice Prairie style light catcher which is based on a design by Frank Lloyd Wright. Adhesive lead is great to use especially in designs with lots of long straight lines. You can get it with multiple finishes and in widths from 2mm right up to about 16mm. As we intend to do more Christ projects we will try and get another newsletter out in the next 2 or 3 weeks. Any latter then that and Christmas projects will be a bit pointless. Having said that we do have quite a few projects on the site already which are either specifically Christmas related or which can be altered to make then Christmas themed. Great Work “Mr. Bob”! Lots of Questions for you. 1. I was able to get starter set of Marabu solvent based glass paint. Green, Dark Ultramarine, Yellow,Carmine red. Waterbased Relief Paste-Black and a tiny paint brush. Bought from Blick Art Materials, www. dickblick.com. Please compare Pebeo Vitrail and Marabu for me. 2. Lead Self Adhesive Tape. You suggested 1/2″ on a project. Found this tape on Amazon, under Golfing tape for weight adjustments on golf clubs. 3. Small 3″ x 4″ oval glass I’m working on using this tape. I can get 1/4″ on both side of edge but it seems to bright for the design on the glass that has the black relief outliner. Any suggestion? 4. Relief Outlining. Solution for me!!?? On the above mentioned piece the great way you have showed to do the outline for me, being of age, wasn’t able to get the wonderful straight lines you get. Here’s the kicker, after many alternative like cake decorating nozzles I went all out to technology kind of. I’m using Cricut – Explore Air 2 to cut my design into black vinyl sheets. The sheets/rolls are adhesive backed. Biggest drawback for some might be “agh” another computer thing to learn. Cricut machines are sold all over the world. And the model I have Explore Air 2 is discounted because of a New Model is out that is faster but really, so what? Have you falling a sleep yet?? Anyhow, Thank you for your dedication in helping have fun with this “artsy, fartsy” craft. 1. Must admit it’s been a little while since I used the Marabu Paints but I found very little difference between these and the Pebeo Vitrail paints. TBH my only issue was finding them more expensive due to the small pots. 2. Thank you Ill take a look. 3. Normally it will “tarnish and darken after a little while (well the lead I use does so I assume this will be the same). If it continues to be an issue you can but the lead in different colours. 4. I assume that is very similar to using the peel-offs except you can do you r own designs. Something I will have to look in to. Please do send in a photo. I love seeing other peoples work. Thank you for the comment. It really is nice to get some feedback and especially hear some new ideas.